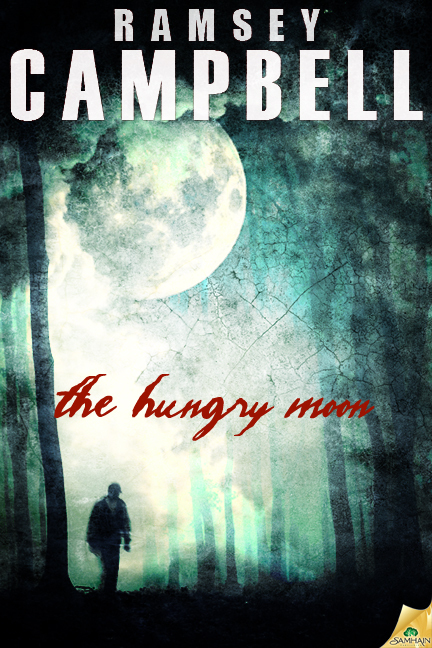 Continuing Samhain Horror's line of reprinted Ramsey Campbell's novels is "The Hungry Moon", an eerie tale about a small England village besieged first by rabid Christian Evangelicals and then the dark, pagan, moon-worshiping force they accidentally awaken. For the most part a smart story offering acute observations on the dangers of religious fanaticism, Campbell's usually suspenseful "quiet horror" does drag a little towards the end. Taken as a whole, however, Campbell delivers the goods, as always: poignant characterization, sterling craft, creeping dread, and unsettling unease. Godwin Mann (yes, read that as God - Win - Man) is on a quest to win souls for God. Embarrassed by his father's B-Movie horror past (Dad played the Devil once in a film), Godwin experiences a life-changing "conversion" and becomes a self-styled version of Billy Graham, leading crusades and marches and rallies, all to advance the Good News. And he's come to England's shores to continue God's Good Work. He's come to the small town of Moonwell to rid it of its "pagan past", to "win the town for the Lord." And initially, he and his troupe of believers find a foothold in Moonwell. A moderately Christian town paradoxically proud of its Druid traditions, Moonwell's Christian residents see Godwinn's arrival almost akin to their own Second Coming, a chance to "purify" Moonwell of its pagan influences, once and for all. Battle lines are drawn, friend turned against friend, families divided. All in the name of Godwinn Man's "holy quest". But when Mann confronts the source of Moonwell's Druid traditions (a deep cave in which legends say Old Beings dwell), he returns....changed. No longer human, Godwin Mann uses his influence and newly "won" town to unleash an unspeakable darkness. Night falls...and stays. Daily deliveries - even the newspaper - from the outside world cease. No one can leave. No one can enter from outside Moonwell, as the demon that is now Godwin Mann slowly erases Moonwell, cutting it off from the rest of the world, hiding it in a perpetual night lit only by a strange, bloated moon. And this moon is hungry. And angry, for being ignored all these years. As always, you get what you expect in a Ramsey Campbell novel: smooth, flowing prose, deep characters, subtle emotional plays, and a lingering dread that settles right at the base of the neck. 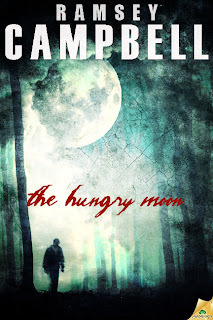 In this case, perhaps "The Hungry Moon" runs a little too long. The darkness settles around town very early, and readers can also guess pretty quickly what's happened to Mann. However, this novel's strength lies not in it's plot, necessarily, but in character development, as religious fanaticism not only tears the town apart, but ultimately leaves Moonwell completely vulnerable to the demon-possessed Godwin Mann. That's where this novel's real power comes from, in Campbell's portrayal of friends and family torn apart by the Lord's "Good News." Visit www.ramseycampbell.com. Buy the paperbook or ebook today. Kevin Lucia is a Contributing Editor for Shroud Magazine, a blogger for The Midnight Diner, and a podcaster at Tales to Terrify. 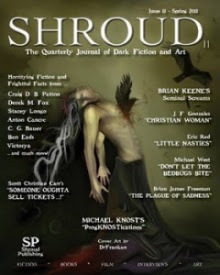 His short fiction has appeared in several anthologies. He's currently finishing his Creative Writing Masters Degree at Binghamton University, he teaches high school English and lives in Castle Creek, New York with his wife and children. He is the author of Hiram Grange & The Chosen One, Book Four of The Hiram Grange Chronicles, and he's currently working on his first novel. Visit him on the web at www.kevinlucia.com.